Foxhunting is a sport of mounted riders following a fox or coyote with a pack of highly trained hounds. 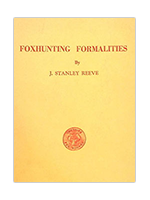 The term “foxhunting” is a bit of a misnomer. 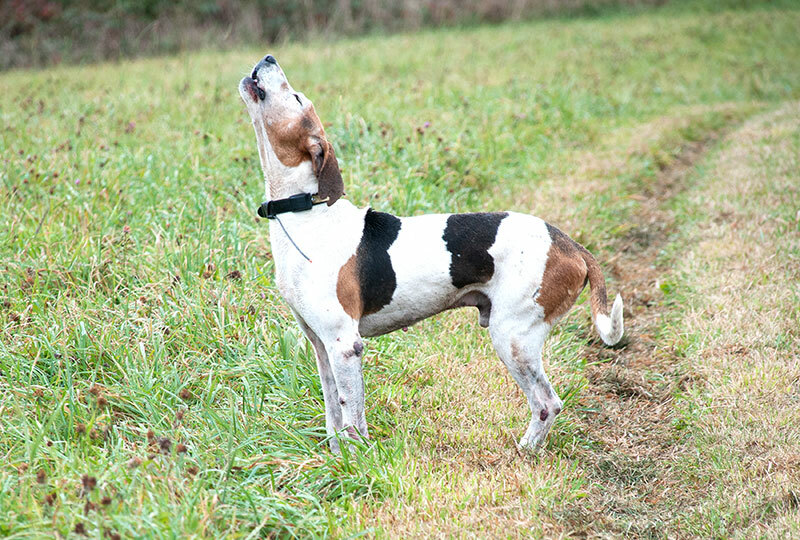 For the OCHC, it is really “fox searching” and on occasion “fox spotting.” A healthy fox can easily out-smart even the most talented of hounds. Our territory is miles of rolling hills covered by a patchwork of open fields and woods, threaded throughout with horse trails maintained by OCHC. The hunt is composed of the huntsman who trains and manages the pack of hounds (typically 25 to 30 on any day) and whippers-in whose job is to assist the huntsman and protect the hounds. They are followed by 3 fields of riders led by field masters of the hunt. First field, which follows closely behind the huntsman and takes jumps, second field where jumps are optional, and third field that follows at a more controlled pace without jumping. Fields follow set rules of decorum as safety of horse, rider and hound always comes first. Roading: May – July. Members and guests are invited to join the huntsman exercising the hounds on the scenic dirt roads in Old Chatham. Riders use this opportunity to condition and introduce their horses to the hounds. Length of ride: 1-2 hours. Capping Fee for Non-Members: $25. Attire: ASTM certified riding helmet and weather appropriate riding clothes such as light colored britches and polos. Informal Autumn Hunting: August. Autumng hunting focuses on teaching the young hounds about hunting and gives riders and young horses an opportunity to gain experience and get fit for the formal season. This is a great time to watch the new hounds learn the skills they need to chase our quarry (fox and coyotes). The duration of the hunting day may be short if a good learning experience has been provided to the younger hounds. Length of ride: 1.5 -3 hours. Capping Fee for Non-Members: $50. Attire: ASTM certified riding helmet, green polo shirt, light colored britches, field boots or paddock boots and half-chaps. Formal Autumn Hunting: September. Members and guests accompany the huntsman who is training new hounds and exercising seasoned ones at a bit faster pace. Length of ride: 1.5 -3 hours. Capping Fee for Non-Members: $50. Attire: “Ratcatcher Attire” ASTM certified riding helmet, tan britches, brown field boots (black field or dress boots if you do not have brown), stock or regular tie, and tweed or colored jacket. Formal Season: October – December. During the formal season both hounds, horses and humans are fit enough for a full morning of hunting followed by an elaborate hunt breakfast held at a member’s home. Length of ride: 3 – 4 hours. Capping Fee for Non-Members: $125. Attire: Black velvet ASTM certified riding helmet, shirt with white stock tie and plain pin, canary vest, tan britches, black dress boots, black or white gloves, and black coat. Female staff members and masters and men with their colors may wear scarlet coats.